The SEF Summer Academy is just around the corner, and we are thrilled to offer another summer of challenging exploration and exciting class options to our students. Classes start Monday, June 6th! 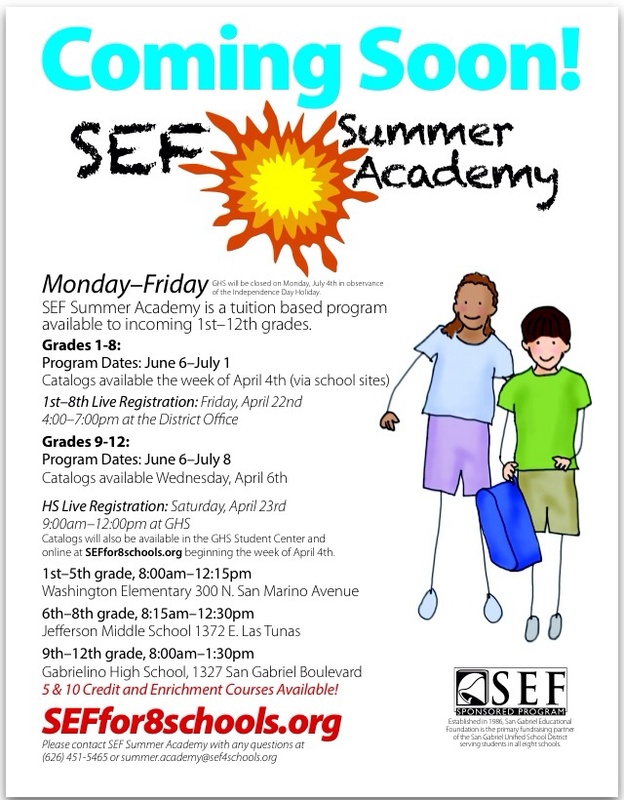 SEF Summer Acacdemy is enrolling now! Mail or drop off applications to the SEF Office. We invite you to join us for a summer of learning and fun! 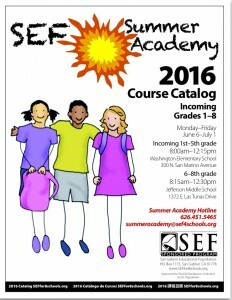 2016 SEF Summer Academy Catalogs are available on our website. They will also be available in the school offices this week. 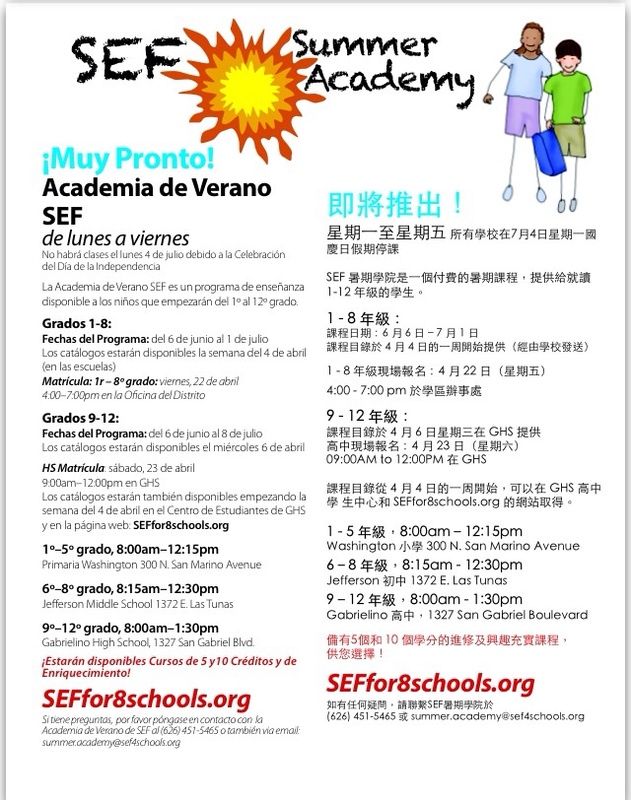 SEF distributes course catalogs in English, and makes K–8 Spanish and Chinese catalogs available to download on demand. SEF operates a 1st-8 enrichment and 9th-12th Get-Ahead credit and enrichment summer program to fulfill student academic needs in the San Gabriel community. 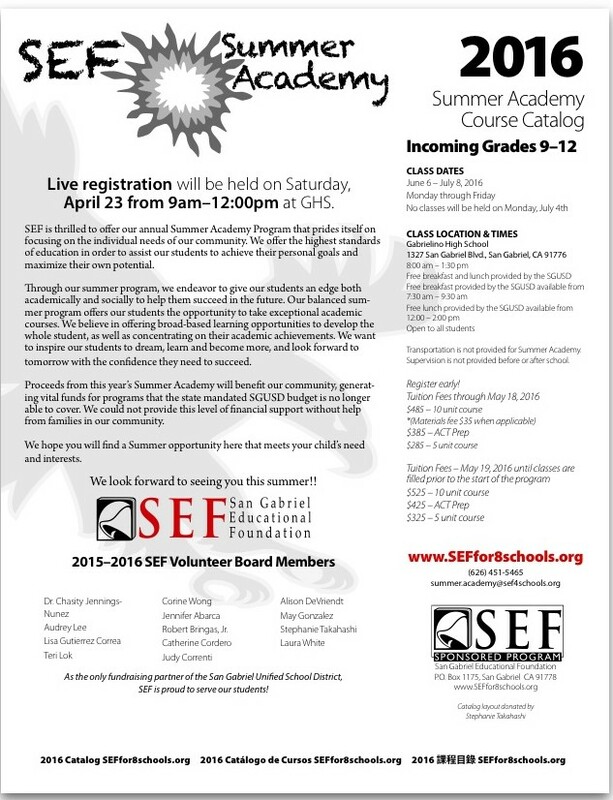 SEF’s Summer Academy operates independently from the school district and is a completely separate entity. Registration fees are 25-30% less than surrounding community summer school programs. 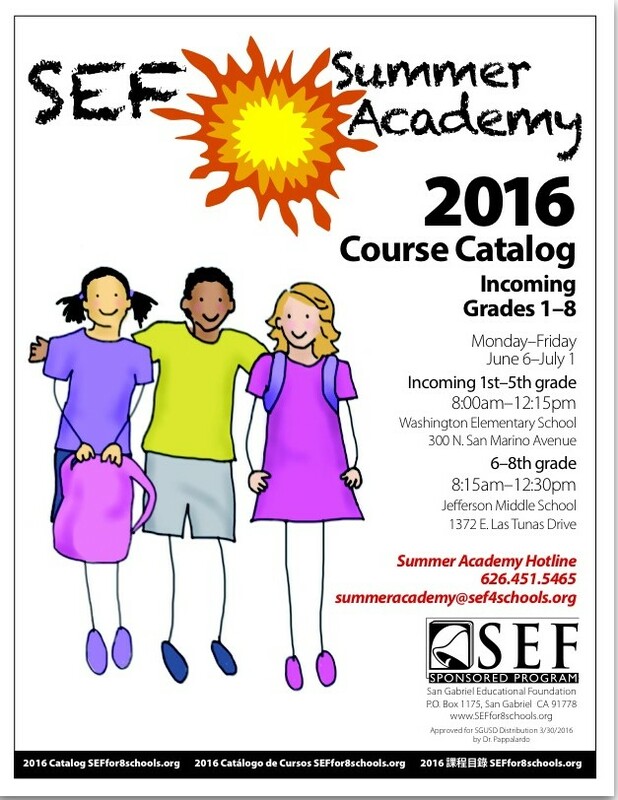 Approximately 10% of the SGUSD student population enrolls in the SEF Summer Academy. 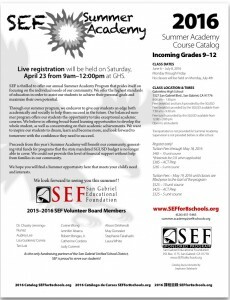 Participation in the SEF Summer Academy is optional. Summer “Get-Ahead” credit courses offered in the high school program allow students more flexibility in their schedules during the school year. Would you like to know more about the SEF Summer Academy? Contact the SEF office at (626) 451-5465.